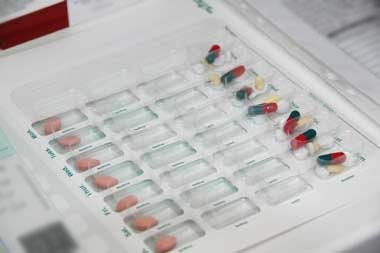 Stepps Pharmacy supply all medication in child-resistant containers unless you ask us not to. Always keep medication out of the reach of children. So the next time you visit a Stepps Pharmacy ask our Pharmacist for a demonstration of how our range of medication aids can help you with your medication needs.Medication aids are designed to assist you when organising and taking your medicines. At Stepps Pharmacy our staff can advise you on a wide range of solutions ranging from tablet splitters to monitored dose systems and pill popping devices.